Leonard George Holden Huxley was born in London on 29 May 1902, the eldest son of George Hamborough and Lilian Huxley. George was the grandson of Thomas Huxley and the grand nephew of another George Huxley from whom the famous biologists Thomas Henry Huxley (the prominent spokesman for Darwin and advocate of his new theory of evolution) and Julian Huxley were descended. Although a Londoner by birth, and carrying with him throughout his life many attributes of his English heritage and his later education at Oxford, Huxley considered himself very much an Australian, having spent more than three quarters of his life in the country including his formative years. His parents, both schoolteachers, migrated to Australia in 1905 when he was only three. Following a brief sojourn in Western Australia, the family moved to Tasmania where they were to remain. Huxley's first academic distinction came early. From a small Tasmanian country school in Mathinna, a community of no more than 200 or 300 people, he won a prestigious State scholarship to the Hutchins School in Hobart. Once launched, he continued to support his education through a series of bursaries, and finally a scholarship to the University of Tasmania. At Hutchins, he did well not only academically but also as a sportsman, and in his final year was both dux of the school and captain of the athletics team. A Rhodes Scholarship followed in his second year at the University, and in 1923, aged 21, he left for Oxford. Music was but one of the cultural experiences that he enjoyed and which broadened his horizons immeasurably during his Oxford years. He took full advantage of a ripening friendship with his distant cousin Julian, then a Fellow of the College and a Reader in Biology, and the social contacts that this friendship brought with scholars such as 'J.B.S. Haldane and other leading luminaries'. (2) Their breadth of knowledge and depth of scholarship challenged him 'to get interested in history and biography', thus laying the foundations of his own broad cultural interests. In New College, too, he first made contact with J.S. Townsend, who lived at the college with his wife and family. Townsend was to have a profound influence on him, and Huxley formed a close personal relationship with him that was to remain until Townsend died in 1957. In 1925, having taken his first degree, Huxley commenced work for his D.Phil. under Townsend. The subject of his research, electrical breakdown in gases, was an area that Townsend had pioneered. But it was another of Townsend's interests - electron transport in gases - that was to become one of Huxley's longer-term interests and the field to which he made many distinguished contributions. By 1928, he had been awarded his D.Phil. and was starting on his professional career. During a brief period as a tutor at Oxford he married Ella Mary (Molly) Copeland, who was reading history at Somerville College. Intellectually they were well matched. Molly Huxley took a First in history; a year or two later she was to become the first, part-time lecturer in British History at the then newly-established Canberra University College. Also during this time, Huxley was sought out by J.P.V. (later Sir John) Madsen, who was head-hunting for his new Radio Research Board (RRB) which had been established as an adjunct to the CSIR. Huxley applied for a position involving radio research, about which he professed then to know nothing, and was eventually appointed, together with A.L. Green, D.F. Martyn and G.H. Munro. The voyage to Australia to take up the RRB appointment was not altogether a honeymoon for the newly-wed Huxleys. On instructions from the Board, Huxley and Munro, who travelled with them, had acquired a newly-developed cathode-ray direction finder, which had been generously lent by R.A. Watson-Watt even before there had been time for it to be installed and used in his own laboratory. Together, Huxley and Munro embarked on a series of observations of the frequency and bearing of atmospheric disturbances. This work was the subject of one of the five unpublished reports prepared by Huxley and Munro in 1931, and it was Huxley's introduction to radio research work. The Huxleys arrived in Australia at the beginning of 1930 for what turned out to be a brief sojourn, but it introduced them both to Canberra. Huxley's work was based at Mt Stromlo, and it was there also that he and his wife lived, apparently in very primitive conditions. But it was the Depression, and not the hardship of living on the mountain, that led him to resign before two years had elapsed. The vicissitudes experienced by Huxley and others of the Board's first staff members are well documented in W.F. Evans' history of the first twenty years of the Board. (3) There were administrative tangles and great financial difficulties as Madsen sought to establish the Board and struggled to keep it alive during the height of the Depression, and Huxley and his colleagues had much to contend with. It was little wonder, therefore, that he thought it prudent to look elsewhere for his future. He applied for a position in the Colonial Service, but eventually accepted a lectureship at University College - Nottingham. The year 1932 thus saw the Huxleys back in England, but the stay in Nottingham was to be brief also. In the same year Huxley accepted a more senior appointment as head of the Physics Department at University College - Leicester, and there had his baptism of fire as a university teacher. In his own words, he 'taught almost single-handed the whole of the syllabus for London University: intermediate, pass degree, and honours'. (Leicester was then a college of the University of London.) Not surprisingly, his research took a back seat in this period when he had little time and vanishingly small financial support. The Second World War transformed Huxley's professional career as it did those of so many of his fellow physicists in. Britain. In the summer of 1939, just prior to the outbreak of war, the secret of radar was revealed to a large group of physicists, Huxley among them. Thus immediately war was declared, he found himself recruited to the distinguished group at the Bawdsey Research Establishment, which was to develop radar and promulgate it to the Services with amazing speed. Later, after several changes of name and location, it was to. become the Telecommunications Research Establishment (TRE). By the end of the war, the school, with the whole of the Telecommunications Research Establishment, had moved to Malvern, and an estimated 7,000 people had attended it. It was the people Huxley met during the war as much as his new scientific experiences that most influenced his future career. Both were responsible for his first post-war academic appointment at the University of Birmingham. Though first and foremost a physicist, his wartime experience qualified him well for his new appointment as Reader in Electromagnetism in the Department of Electrical Engineering. In fact, it was because he was a physicist that he was invited to this position in an engineering department. D.M. Robinson, a colleague from TRE, was well aware of the impact of physicists on the development of radar technology and 'wanted to recruit a physicist to give his engineers fundamental electricity with a physical basis before they got on to the practical stuff'. So Huxley got the job. Huxley's research at Birmingham combined two of his earlier interests: the theory of electron motion in gases and the study of radiowave propagation in the atmosphere. Here he collaborated with J.A. Ratcliffe, another colleague from TRE with whom he retained a lifelong friendship and for whom he had the highest regard. This work, and a conversation with A.C.B. Lovell shortly before leaving Birmingham in which Lovell suggested the study of meteors using the new radar techniques developed at Jodrell Bank, provided the basis on which a major part of his future research interests would be built. The appointment in Birmingham, like his pre-war appointments, was to be short-lived. Robinson was soon attracted to a more lucrative job as President of Van de Graaff's High Voltage Corporation in the United States and Huxley was left carrying the department until a successor was appointed. Shortly afterwards, in 1948, M.L. Oliphant, himself about to take up an appointment as first Director of the Research School of Physical Sciences at the Australian National University, drew Huxley's attention to an advertisement for the Elder Chair of Physics at the University of Adelaide. Somewhat diffidently apparently, Huxley applied for it. In Adelaide, A.P. Rowe, the war-time director of TRE, had recently been installed as Vice-Chancellor. On receiving Huxley's application, Rowe immediately replied with an offer of appointment, and 1949 saw the Huxleys returning to Australia, this time for good. It was a move that unfortunately meant the splitting up of their immediate family. Their 6-year-old daughter Margaret came with them, but it was decided that their son George, now 17 and in his senior years at school, should remain in England to complete his schooling and go on to university. Huxley found much the same situation in Adelaide as had existed in Birmingham: a department starved as a result of the war of both resources and opportunities to appoint new personnel. However, in the years immediately following his appointment he had the advantage of being able to expand his department rapidly as a consequence of swelling student numbers, due to the influx of mature-age students entering the university under post-war retraining schemes, and support from an enthusiastic and energetic Vice-Chancellor. These years also coincided with the introduction of Ph.D. courses throughout Australia, and the more generous allocation of Commonwealth money to the universities in the late 1950s following the Murray Committee's report. Huxley took full advantage of the opportunities afforded by these developments. He recruited new staff - some home-grown and some from overseas - and established Ph.D. training programmes around the new research groups that were formed. Drawing on his war-time experiences, he started a large and active group to track meteor trails and upper atmosphere winds using radar. He started another group to conduct laboratory studies of electron drift and diffusion in gases to complement his interest in electromagnetic wave propagation in the ionosphere. His new staff began equally active programmes in biophysics and solid state physics under S.G. Tomlin, and in seismology under D.J. Sutton. The seismological work was started as a consequence of an initiative of the Australian Academy of Science during the 1957-58 International Geophysical Year. The Academy had provided funds to equip a six-component seismograph station near Adelaide, and Huxley promoted the establishment of the new station. The station was later re-equipped by the U.S. Coast and Geodetic Survey as a world-wide standard station, and today a network of eleven stations covers the active areas of South Australia to provide information about the seismicity and crustal structure of the region. One enterprise, which was considerably more adventurous at that time than it would be today, was the dispatch of equipment and a Ph.D. student to Mawson, in Antarctica, to observe upper-atmosphere winds at high latitudes. Because of his contact with P.G. Law and the Commonwealth Antarctic Division at that time, and his close association with Douglas Mawson as a colleague and friend in Adelaide, the establishment some years later of the Mawson Institute in one wing of his old department gave him great satisfaction. Huxley's later days in Adelaide, with a now greatly enlarged and flourishing department to his credit, were marked by increasing friction with the Vice-Chancellor. Perhaps Rowe was ahead of his time in believing that universities should be managed along the lines of a government department or research institution, or even a business enterprise. Though some have come to accept this view Huxley never swerved from his opinion that 'a university is more like a plateau, where here is general mixing at the top and a general trading of ideas and much discussion which takes time and is irritating to civil servants who have been used to committees who decide this, (which is then) done'. Huxley's students at Adelaide remember him as a meticulous lecturer whose expertise lay in classical physics. He particularly enjoyed teaching electromagnetic field theory. He returned to this following his retirement, when he lectured for several years at the then Canberra College of Advanced Education. His graduate students will remember that he expected a high level of independence - though this was not to be taken as indifference on his part to their progress. He was a constant visitor to their laboratories and retained a keen interest in, and great enthusiasm for, the work they were doing. Huxley had long been interested in astronomy, but that interest was now heightened. As the Professor of Physics, the mantle of President of the South Australian Astronomical Society fell naturally upon his not-altogether-willing shoulders. Initially he was disinclined to accept yet another responsibility, even though a relatively minor one, in addition to his increasing university duties. Nevertheless, it led him to keep abreast, if only in a general way, with developments in an area of rapidly expanding knowledge, and one of particular importance to Australia. Because of his interest and knowledgehe was persuaded to give extension lectures on astronomy to lay audiences, including some in country areas of the State. This was a challenge he enjoyed, for although the academic milieu was the environment in which he was most at home, he nevertheless greatly enjoyed meeting people in all walks of life. His heightened interest in astronomy during his Adelaide days was to stand him in good stead later. By the end of his eleventh year in Adelaide he had established a vigorous department and felt that it was time to move on. He accepted an appointment to the Executive of CSIRO, but had scarcely become settled in his new position when he was invited to succeed Sir Leslie Melville as Vice-Chancellor of the A.N.U. This he accepted, and thus entered on the most influential period of his career, both within the university sphere and outside it. Huxley took up his new position at a difficult but challenging period in the University's short history. The Committee on Australian Universities, chaired by Sir Keith Murray, had recommended that careful consideration should be given to the relationship between the existing Australian National University and the Canberra University College which, prior to 1960, had prepared students for the degree examinations of the University of Melbourne. However, no prescription for the future relationship had been given. Subsequently, the Australian National University Act was amended to incorporate the College as the School of General Studies within the A.N.U. It was intended that the new structure would preserve as much as possible the autonomy of both the School and the old A.N.U., which was to become the Institute of Advanced Studies within the enlarged University. Huxley's initial task was to bring about a harmonious university community from these two components, neither of which fully welcomed the association. It was a challenge he was well equipped to meet. On the one hand, he had a deep and continuing commitment to research; the mission of the Research Schools was therefore close to his heart. On the other hand, he had always had a keen interest in teaching and had devoted a considerable portion of his professional life to it both within academia and outside it; moreover he well understood the essential part that research and post-graduate training played in the professional lives of those who would comprise the newly-named School of General Studies. And perhaps his recent experiences in Adelaide were to make him particularly sensitive to the importance of leading rather than prescribing. In the task of achieving the union now prescribed by Act of Parliament, Huxley had the help of his wife, who worked tirelessly with him towards this end. For the task was as much a social as an academic one, and though Molly could do little to assist academically, despite being an academic herself, she worked enthusiastically from the outset to bring together the staff and their families from both sides of the University. The problem was a larger one than that resulting from association, for the University was expanding rapidly and the Institute, with its high proportion of non-tenured staff, had an ever-increasing flow of new staff as well as a large no. of visitors. In addition to hosting a constant round of social gatherings, both large and small, which was their joint responsibility, Molly founded a Club for Women to give the female spouses of the new arrivals as well as new female staff an entree to the University. Though the challenges facing the new Vice-Chancellor were in some respects formidable, many of them would be welcomed by his present-day counterparts: rapid expansion in both student and staff numbers, with rapidly expanding budgets to match; a massive building programme; opportunities to create new Research Schools and Departments; and a Commonwealth Government open to persuasion and with a more buoyant economy to enable it to respond to worthwhile new initiatives. When Huxley assumed office on 30 September 1960, the old Canberra University College had no permanent buildings, apart from one housing the existing Arts departments (although some had been planned or started), while only the John Curtin School of Medical Research (JCSMR) and the Research School of Physical Sciences (RSPhysS) of the old A.N.U. were permanently housed, or partly so. The existing Research Schools - JCSMR, RSPhysS, Social Sciences, and Pacific Studies - together had about 100 postgraduate students, the College about 800 students. In 1961 the University's budget was about $5.5 million. Seven years later, when he retired, there were about 500 postgraduate students and over 3000 undergraduates and the budget was over $17.5 million. Two new Research Schools had been established - Chemistry and Biological Sciences - the Commonwealth's Forestry School had been subsumed and its role expanded as it became the Department of Forestry, and a second observational site had been established at Siding Spring for the Department of Astronomy. Permanent buildings were erected for many of the departments in the School of General Studies, for the Research Schools of Social Sciences and Pacific Studies, for the new Research School of Chemistry, and for the Administration. The Menzies Building of the University Library was completed and the Chifley Building started and finished. So also were a Student Union building and several students' colleges and halls of residence, while off-campus housing for staff, students and visiting academies was greatly expanded. It was a period of great change and activity. At first Huxley chaired the newly established academic boards for both the Institute and the School of General Studies, but as time went on and administrative practices became better established, he delegated this responsibility to deputy chairmen, apparently to everyone's satisfaction including his own. While he never shirked such responsibility, he seemed less at home chairing large committees than in dealing with individuals or smaller groups on a more personal level. He was also less interested in the minutiae of financial matters which, particularly in his later years, he left increasingly to J.G. Crawford, who was appointed the University's Fiscal Adviser. Huxley seems to have been a wise choice at this critical point of the University's history. To the task of unification and expansion he brought an understanding of the points of view of both sides of the University and their different needs, while his background and his broadly spread cultural interests made him equally at ease with classicists and scientists. There were, of course, criticisms - it would have been impossible to satisfy all the aspirations of the newly amalgamated staff with their different missions and expectations. But his door was open to everyone: to staff, both academic and non-academic, and to students. He will be remembered as personally interested in the progress and wellbeing of the whole University community. Huxley was fortunate to inherit an experienced administrative staff from both the old A.N.U. and the College. Nevertheless, his was a heavy administrative load. It is therefore the more remarkable that he found some spare moments to pursue physics - he wrote at least two influential theoretical papers during this period - and to serve both his profession and the wider community through his membership of a no. of committees and boards outsidethe University, many of which he chaired. 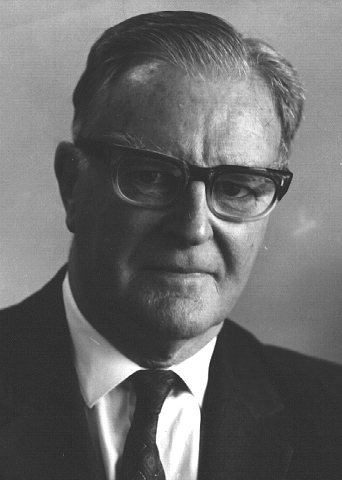 Huxley served as Vice-Chancellor until his retirement in 1967. He was knighted in 1964, and although the New Year's Honours list for that year records his KBE as being conferred for 'services to education', it marked the culmination of his distinguished career as scientist, academic, and administrator. Although Huxley was actively involved in his own profession from his post-graduate years in Oxford in the late '20s until he left the University of Adelaide at the end of 1960, relatively little of that time was free for him to devote personally to his research interests. His first five papers, on electrical discharge phenomena in gases, reported the work he had done for his D.Phil., and there were four from his work on atmospherics while employed by the Radio Research Board. During the years that remained before the out-break of war, his main preoccupation was teaching, particularly, as we have seen, at Leicester. Five of the ten papers from this period reflect his continuing interest in discharge phenomena (one describes the work with his Ph.D. student, the first to graduate from Leicester) and in the theory of charged particle transport in gases. Two others reveal his new interest in electromagnetic wave propagation in the atmosphere. In the work reported in these papers, he brought his knowledge of electron motion in gases to bear on ionospheric phenomena, a subject in which his earlier experience in Australia had kindled his interest. Apart from one paper, in 1944, devoted to transmission line theory, there is then a gap between 1940 and 1946 in which he published no papers in the open scientific literature. The war years, which spanned most of this period, nevertheless provided the material for one of his most outstanding publications, the book Wave Guides, published in 1947. From this period also came a number of reports on operational and technical matters concerned with radar, one of which has already been mentioned. The period from 1947 until his appointment to the A.N.U. in 1960 was his most scientifically productive and influential. At Birmingham he laid the foundations for the two research areas he was to pursue for many years. With J.A. Ratcliffe he undertook research on the 'Luxembourg effect', a phenomenon whereby the transmission from one radio broadcasting station is cross-modulated by another, more powerful, transmitter. The effect results in the superposition of one broadcast on the other; its cause is the oscillatory heating of the ionospheric electrons by the more powerful transmitter, which produces modulation of the 'wanted' signal as it passes through the ionosphere. This investigation brought home to Huxley the importance of laboratory studies of electron motion in gases, in this instance the constituents of air. He therefore initiated such studies in Birmingham, and a continuation of that work formed the basis of a programme actively pursued by him at the University of Adelaide and later still at the Australian National University. To this programme he brought a continuing flow of ideas and much of the theoretical backing. Though his work on diffusion and drift was to start in earnest at Birmingham, one of the two papers on charged-particle transport written in Leicester was fundamental to the interpretation of the laboratory experiments commenced in Birmingham and continued in Adelaide. In it he used the device of images, borrowed from electrostatics, to determine the distribution of electrons or ions drifting and diffusing from a point source, thus greatly simplifying the computation required to interpret the results of experiments of a type first devised by Townsend many years before. In the days before computers this was a considerable advance and the experimental technique now bears his and Townsend's names. The papers written in Adelaide pursue four topics: the detailed and sophisticated application of the method of free paths to electron diffusion and drift; the theory and application of the Townsend-Huxley experiment to situations where electron diffusion and drift are accompanied by attachment and/or ionization; the theory of the Luxembourg effect and the application of the results of laboratory experiments to the interpretation of experimental observations of ionospheric cross-modulation; and first reports of the long-running and highly successful project he initiated to detect the trails of ionized gases left by meteors, and hence to determine wind patterns in the upper atmosphere. In the majority of these papers he was reporting his own, mostly theoretical, work. He was content to leave the development of the laboratory and field work to his group of graduate students, some of whom continued as members of staff. Here history repeated itself; as in Leicester he found himself responsible for training the first batch of Ph.D. students to graduate from the university. This period also saw the culmination of his work on the application of the method of free paths to electron transport. Trained by Townsend to approach the theory of electron and ion motion in gases by this method, Huxley was perhaps unique in his ability to relate the concepts and results of the free path approach to the now more widely used methods of statistical mechanics. One of his major achievements was the derivation of formulae for electron mobility and diffusion coefficient, taking account of an energy-dependent free path (that is, scattering cross section) and showing their equivalence to the formulae derived from statistical mechanics. Despite its limitations, the method of free paths provided Huxley, as it had Townsend, with a tool with which he could visualize and describe electron motion with remarkable clarity Thus he was able to analyse and describe in physically understandable terms phenomena whose origins were obscure in more formal treatments. Huxley's work on the theory of ionospheric cross-modulation brought him into vigorous controversy with V.A. Bailey, who himself had made many distinguished contributions to both laboratory studies of electron motion and the theory of radio-wave interaction. On his side, Huxley had the advantage of more recent and better understood results for electron motion in air, but the dispute between them was never resolved. With his appointment to the A.N.U., Huxley's interests in the areas he had promoted in Adelaide necessarily narrowed. With the encouragement of the University and particularly of Oliphant, who was still the Director of the Research School of Physical Sciences, he established a small Unit, the Electron and Ion Diffusion Unit, to pursue the laboratory studies that had gathered considerable momentum in Adelaide. Thus, soon after taking up his appointment, he was followed by three of his staff from Adelaide and two graduate students, who together established the laboratory. Though his time to think about physics was very limited, he retained a keen interest in the Unit's progress throughout his term as Vice-Chancellorand was stimulated to write several papers through particular developments either within the Unit or brought to his attention through its work. Like his earlier papers, some of them have been the basis on which other researchers have built. On his retirement, Huxley returned to physics with great enthusiasm. Much progress had been made in the seven years since he had last been able to give his undivided attention to the problems that interested him, and he resolved to write a book. But this required a major revision of his approach to the theory. No longer was it profitable to use approximate theories to interpret the results of laboratory 'swarm' experiments in terms of the elastic and inelastic electron-molecule collision processes that determine the overall motion of the electrons, that is, the macroscopic behaviour of the swarm. The widespread use of computer-based numerical methods had displaced the older approximate methods, making the application of the more rigorous statistical mechanics approach not only practicable but greatly superior. At about this time also some major cracks became apparent in the theories that had been developed and applied to this point, most of which assumed spatial invariance of the average electron energy throughout the swarm. Not content simply to reproduce the work of others and, characteristically, seeking a physical picture upon which to build the theory, Huxley developed his own approach and used it as the basis for the theoretical section of the book in order that new theoretical results, published by others before and during the course of its preparation, could be presented as part of a unified whole. Not surprisingly, the book took a no. of years to complete. Meanwhile he published some of his original work in papers that appeared in 1972 and 1973. These and his other papers in this field, spanning a period of over thirty years, show a smooth transition from analyses of electron transport based on the free path method to those based on statistical mechanics, and in them he demonstrated the underlying unity of both. With the completion in 1974 of this major monograph, The Diffusion and Drift of Electrons in Gases, one might have expected Huxley, now aged 72, to have rested on his laurels. However, another topic caught his interest and held it until a year or two before his death. This centred around some anomalous characteristics of the sun's corona, which he sought to explain in terms of non-thermodynamical equilibrium caused by charged particle motion. He may well have been on the right track, and he had a unique advantage in applying to this problem his knowledge of a field he knew so well. Unfortunately, it would have required a great deal more work for him to have assimilated and incorporated the results of recent observations of the corona, and the work was never completed or published. Matching his action to his words, he served on the College Council for seven years and, as has already been mentioned, delivered several courses on electromagnetism to its students. For an academic of his stature and experience, these were appointments that were to be expected, although the appointment to the Council of the A.N.U. while he was still in Adelaide and only relatively recently returned to Australia was evidence of a widening sphere of influence. However, appointments to the other governing bodies and committees, many of which he chaired, were a consequence of his breadth of interests and a testimony to the wisdom he brought to debate. The more important of the honorary offices he held are listed in an appendix, but several are worthy of special mention. Leonard Huxley was a Foundation Fellow of the Academy. He served on the Council from 1956 to 1962, was Vice-President in 1957/8, and Secretary A for Physical Sciences from 1959 to 1962. He was appointed the convener of the National Committee for Space Research on its establishment in 1958, and was Australia's first delegate to the United Nations Committee on Space Research (COS-PAR), the inaugural meetings of which he attended at the Hague in 1959 and Nice in 1960. In the latter capacity, he played a significant role in the Academy's early participation in the moves to establish the Anglo-Australian Telescope (AAT). He was Secretary for Physical Sciences when the President of the Royal Society, Sir Cyril Hinshelwood, approached the President of the Academy, J.C. Eccles, advising him of renewed interest by British astronomers in siting a large-aperture optical telescope in Australia as a Commonwealth facility, and informing him that the Office of Commonwealth Relations had been approached by the British government concerning the position of the Australian government. (10) The Royal Society clearly expected the Academy to be playing a part in determining the attitude of the latter. The Council was reluctant to take a more active part despite the advocacy of Oliphant, Huxley and Bart J. Bok (Head of the A.N.U. 's Mount Stromlo Observatory), and informal approaches by the Australian government prompted by advice that the British were looking with renewed interest at collaboration with European rather than Commonwealth partners. Perhaps the Academy's low-key involvement up to this point was to have been expected. Unlike the Royal Society, it was not responding to a ground swell from its own astronomical community but rather to overtures from outside the country either directly or through government sources. By 1963, when the Academy was next drawn into the discussion, Huxley had ceased to be Secretary A and had taken up his appointment in Canberra as the Vice-Chancellor of the A.N.U. Now he was particularly well placed, both geographically and professionally, to take a key role in shaping the Academy's policy towards the proposed new telescope, for the commencement of his term as Vice-Chancellor coincided with the need to take critical decisions concerning a second site for the A.N.U. 's observatory. By then the choice had narrowed to two. Both had been subjected to extensive tests but more were required, and Huxley gave his support to the continuation of the site testing programme. In May 1962 the matter was still unresolved and he convened a conference at which the cases were made for the competing sites: Bingar, favoured by Bok, and Siding Spring, by S.C.G. Gascoigne. Siding Spring won the day; it was to become not only the A.N.U. 's new astronomical site but also, eventually, the site for the Anglo Australian Telescope. The Academy's more formal involvement in discussions on the proposed telescope was prompted by invitations to several Australian astronomers to attend a British planning conference about a possible southern-hemisphere telescope. Earlier in the year (1963) a meeting had taken place in Australia between R. v.d. R. Woolley, Sir John Cockcroft and Huxley (as Chancellor and Vice-Chancellor, respectively, of the A.N.U. ), Oliphant, Bok, Gascoigne, E.G. Bowen, and B.Y. Mills, at which it was unanimously agreed 'that a strong case existed for a large optical telescope in Australia'. (12) Although the invitations to the planning conference were to individual astronomers who were users of large telescopes, Oliphant felt it important for the Australian representatives (Bok, Gascoigne, A.W. Rogers and B. Westerlund) to be regarded as representing their country and thus to be able to meet their counterparts on an equal footing. Accordingly, he arranged for the Australians to attend as representatives of the Academy, and at the same time suggested the establishment of a committee, to be chaired by Huxley, to 'deal with questions of justification, telescope design, and Anglo-Australian co-operation'. This committee was soon matched by its counterpart established by the Royal Society, and the stage was set for real progress, although it was to be painfully slow. However, even though a final decision to proceed had still to wait another four years, it was not the fault of the new committee. Within seven months it had submitted its final report to Council, and a year later the Academy and the Royal Society approached their respective governments with a proposal that the telescope be built and operated by Britain and Australia as equal partners. But there was still a long way to go, with both Britain and Australia seemingly vacillating on their support for the proposal and each wooing the Americans as possible alternative partners. At crucial times Huxley teamed with Bowen to wait on J.G. Gorton, the relevant Minister in Menzies' Cabinet. In later years Huxley liked to recall that it was his duty at one of these meetings to inform the Minister of the likely cost of Australia's share in the project. In anticipation of a cool reception to the estimate, he delivered a carefully prepared statement. To the astonishment of Bowen and himself, the $5m estimate scarcely raised the Minister's eyebrows! Not long after the meeting, in April 1967, Australia agreed to open detailed discussions on the proposal, and Huxley's role in the negotiations came to an end. It had been a long chapter, but one whose conclusion gave him great satisfaction. Much later, at a ceremony to mark the naming of a building on the A.N.U. campus in his honour, he was to recall his involvement in the choice of the Siding Spring site and to remark that he ranked it as one of the most significant events of his time as Vice-Chancellor. It was a fortunate set of circumstances that saw him in the dual role of A.N.U. Vice-Chancellor and influential member of the Academy at a time that was to prove a turning point in the history of observational astronomy in Australia. Huxley's appointment to the Radio Research Board was the result of his early association with Sir John Madsen. Madsen had established the Board in 1927 to foster basic research in radio and atmospheric sciences, and on Huxley's return to Australia in 1949 he invited him to join the Board. That was the beginning of an association that was to last for more than fifteen years. In 1958 Madsen retired as chairman and Huxley took over, holding that position until 1964, when he himself retired from the Board due to his increasing commitments as Vice-Chancellor of the A.N.U. It was little wonder that Huxley joined the Board with enthusiasm and that he served on it for so long. At the time of Huxley's first brief contact with the Board in the early '30s, it conducted or sponsored work in three main areas: propagation of electromagnetic waves, atmospherics, and high-frequency measurements. By 1949, when he became a member of the Board rather than a member of its staff, it was heavily involved in studies of the upper atmosphere and the ionosphere. Huxley was busily promoting such studies in his rapidly expanding department in Adelaide and looking for support for his graduate students. He was thus not only well qualified to assist the Board in its work but an appropriate recipient of support from it. Huxley's influential years coincided with many developments and organizational changes in Australia, and he played an important role in several of them. His own profession of physics saw a significant change in 1963 with the formation of the Australian Institute of Physics. Before that date, there had been an Australian Branch of the (British) Institute of Physics, which traditionally had taken the dual role of a professional body and a physical society. Huxley was the last President of the Australian Branch of the British Institute and the foundation President of the A.LP. Some years earlier, G.H. Briggs, the long-standing Secretary of the Branch, had proposed the formation of an autonomous Australian organization and, with the full support of the parent body, had polled its Australian members for their reactions. To his surprise the result was negative. The proposal was revived during the presidency of J.L. Pawsey in the early '60s, and he and A.F.A. Harper, who was then Secretary, carefully prepared the ground for another referendum. This time the proposal was accepted and in February 1963, by which time Huxley had assumed the presidency of the Branch the new A.I.P. came into existence and Huxley was elected its first President. So ended a long, direct association of the British Institute with Australian physics and physicists. In recognition of this association and the generous financial arrangements made by the parent body at the time of separation, the new Australian body presented a writing table and other furniture for the I.O.P. headquarters, and Huxley, with A. Walsh (foundation Vice-President), had the pleasant duty of making the presentation personally during a visit to London. To this presentation Huxley added his personal gift of a chair. There was an appropriate sequel to these formalities. The Australian Bicentennial year coincided with the 25th anniversary of the foundation of the A.I.P. and Huxley, together with a remarkably large number of the members of the first committee, attended a celebratory dinner in Sydney. On that occasion the President of the day, J.G. Collins, was presented with a gavel by the President of the British Institute. This was almost certainly the last official function that Huxley attended, and as he watched the presentation be must have been pleasantly reminded of an important milestone in the history of this profession in Australia. (v) U.S. Educational Foundation in Australia, and Australian-American Educational Foundation. As with the professional organization representing physicists in Australia, the '60s say a major change in the Fulbright scheme, with Australia assuming henceforth a more equal role in it. Huxley became a member of the Australian Board of the USEFA, which administered the scheme in Australia, in the first year of his vice-chancellorship of the A.N.U. Then, and for some years later, the scheme was entirely funded from the United States, and the U.S. Ambassador chaired the Board. In 1965, however, the Fulbright funds were exhausted and Australia agreed to contribute equally to a new Australian-American Educational Foundation, the charter of which was essentially the same as that of the old Fulbright scheme. Huxley was invited to chair the Board of the new body and held office until 1969. It was a job he 'enjoyed as much as any, except perhaps the National Standards Commission'. Two other honorary offices that Huxley held in the '60s are mentioned because they illustrate the breadth of his interests and his willingness to give his time to scholarly activities outside those associated with his immediate professional responsibilities. These were his membership of the Council of the National Library of Australia, and his chairmanship of the General Council of the Encyclopaedia Britannica Awards. Huxley served on the Council of the National Library from 1961 to 1972. His own large library revealed his catholic tastes in history, natural history, literature, music and the arts, and it is little wonder, therefore that he was a valued member of the Council for the many years that he served on it. In 1968, during his term on the Council, the Library was approached by the Australian Museum with the view to its becoming associated with a project to establish a National Photographic Index of Australian Birds, one set of which, it was proposed, should be held by the Library. In due course a Trust was established to oversee the project, and Huxley was invited to become one of its members. Subsequently, he was joined by another member of the Council after the Council responded to an invitation for one of its no. to become a member ex officio. The concept of the Index appealed greatly to him. A keen amateur photographer himself, with a particular interest in birds, he derived singular pleasure from the photographs that eventually formed the collection. As Chairman of the Encyclopaedia Britannica Awards Council from its inception in 1964, Huxley played a key role in developing its policies and monitoring the Awards. He was able to contribute much to the work of the Council, but he also found it both stimulating and rewarding, for it brought him into contact with some of the most talented Australians in science, the arts and the humanities who were winners of the Awards during the ten-year existence of the scheme. Leonard Huxley will be remembered for the warmth of his personality, which was sometimes masked by his somewhat formal manner, for the breadth of his interests and scholarship, and for his delight in, and respect for, correct usage of the English language. Blessed with an incredible memory right up to his death, and deeply interested in literature and the arts in addition to his professional interests of physics and mathematics, he had a remarkable capacity for recalling what he had read and where he had read it. He combined his gift for words and the breadth of his interests in the preparation of the scholarly speeches he gave on formal occasions. These, too, often revealed his puckish sense of humour. Although in his later years much of Huxley's life was devoted to administration and to promoting the work of others, his old love of physics never failed to bring an enthusiastic gleam to his eye. In the pursuit of his theoretical work there were many false trails, especially as he grew older, but his intellectual rigour kept him wrestling with a problem until he felt satisfied with its solution. His work as a creative scientist stands well beside his lifetime of service to education and to science. Writing a major work with him was a challenging experience. Matters of detailed editing were of no great moment to him; this applied to the mathematics as much as to the text, for once he had formulated a mathematical argument he was less interested in its subsequent transcription. On the other hand, in his scientific prose he was as meticulous with syntax and grammar and the choice of words as he was in all his other writing. No doubt these qualities of his writing as well as the scientific content contributed to two of his papers being awarded the Ambrose Fleming Premium of the Institution of Electrical Engineers. The death of his wife in 1981 left him with a great sense of loss, although it was well hidden except to those who knew him well. Molly had given him constant and loyal support throughout his public life and he owed much to her. When she died they were living in quiet retirement when perhaps they were best able to appreciate the mental stimulation that each provided the other through their very different interests. By this time their immediate family was far distant from Canberra. Their son George, who never joined his parents in Australia, had made a distinguished career as a classical archaeologist. With his wife and three daughters he was living in Belfast, where he held the Chair of Classics at the Queen's University. Their daughter Margaret had started her professional career as a social scientist away from Canberra many years before and now lived in Melbourne with her two sons. Len and Molly were proud of the achievements of both George and Margaret and took great delight in their grandchildren. Unable to enjoy frequent contact with them, Len found great pleasure in the sons of his neighbour and close friend Erika Leslie. He watched their development with much interest and was as proud of their achievements as he was of those of his own kin. In retirement he was able to pursue more frequently his hobbies of photography and fishing. Fishing trips were the only occasions during which he could be found in anything other than the formal dress he habitually wore, almost as if he were always prepared to receive the unexpected visitor. Retirement also gave him more time to watch birds. He was fond of both birds and animals; in fact he confessed that he might have become a biologist had it not been for the influence of one of his early teachers. One of the delights of his earlier days, when he lived in the Vice-Chancellor's house whose garden ran down to the edge of Lake Burley Griffin, was taking his dog Ricky for a walk and a swim. Huxley's physical resilience was as remarkable as his mental vigour. At 86 his bearing was still that of a man twenty years younger, and in August 1988 he left in great heart for what was to be his last overseas trip. On his way to England to see George and his family, and to visit Molly's relatives and other friends, he broke the journey in the United States, where he stayed at the home of an old friend and colleague in Atlanta. His hosts had not seen him for many years but they reported that he had aged little since that time and they delighted again in the old-world charm that was so characteristic of him. Leonard Huxley died suddenly on 4 September, 1988, in London, while visiting his brother-in-law Tom and his family. For a man of his disposition and independence it was the ending he would have most desired. A memorial service was held shortly afterwards in Canberra at the Church of St John the Baptist where Molly had been a parishioner for many years, and although some questioned its appropriateness given his agnosticism, those closest to him felt it was proper to honour him in this way. His relatives and friends were joined by many others representing the numerous institutions and organizations that he had served during his lifetime. Huxley was a man of great integrity. He belonged to the generation of scholars whose depth of scholarship was matched by its breadth, and who had a clear vision of the age-old function of universities. His steadfast defence of the values for which he stood will be remembered not only by those who knew him well, but also by the many others who came in contact with him during his long and influential life. Many people assisted in various ways in the preparation of this memoir. I wish to thank them all but especially Ms Margot Huxley, Professor D.N.F. Dunbar, Professor S.C.B. Gascoigne, Mr A.F.A. Harper, Mr F.J. Lehany, Professor Sir Mark Oliphant and Mr C.G. Plowman. The recorded interview made by the National Library of Australia in 1971 was a valuable source of information on the late Sir Leonard Huxley's early life; the quotations from this spoken record were included to capture something of the vitality Huxley retained right up to the end of this life. I am particularly grateful to Mrs A. Duncanson for her patience in preparing the manuscript, and to her and Mrs Erika Leslie for their help in compiling the bibliography. I also wish to thank the CSIRO Division of Applied Physics for searching their records for the photograph of the foundation committee of the Australian Institute of Physics, and for their permission to reproduce it. Member of Board, U.S. Educational Foundation in Australia, 1960-1965. (1) Sir Leonard Huxley, tape of an interview conducted by Mel Pratt, 8 September 1971; National Library of Australia, Oral History, TRC 121/5, p.11. (2) With the exception of the later section describing Huxley's work for the Academy of Science, quotations that are not referenced are from ref. 1. (3) W.F. Evans, History of the Radio Research Board, 1926-1945 (Melbourne, 1973). (4) Sir Leonard Huxley, tape of an interview conducted by Mel Pratt, 8 September 1971; National Library of Australia, Oral History, TRC 121/5, p.25. (5) (unsigned) Early history of the determination of atomic charge. Nature, 131 (1933), 569-570. (6) Sir Leonard Huxley, tape of an interview conducted by R.W. Crompton, 14 April 1988; National Library of Australia, Oral History, TRC 2268. (7) Ronald W. Clark, The Huxleys (London, 1968). (8) Sir Leonard Huxley, tape of an interview conducted by Mel Pratt, 8 September 1971; National Library of Australia, Oral History, TRC 121/5, p.39. (9) Sir Leonard Huxley, tape of an interview conducted by Mel Pratt, 8 September 1971; National Library of Australia, Oral History, TRC 121/5, p.163. (10) S.C.B. Gascoigne, K.M. Proust and M.O. Robins, The Creation of the Anglo-Australian Observatory (Cambridge, 1990). (11) F. Fenner and A.L.G. Rees (eds. ), The First Twenty-five Years (Canberra, 1980), p.49. (12) In this section, quotations that are not referenced are from ref. 10. (13) G.H. Munro, 'The Work of the Radio Research Board', Proc. Inst. Rad. Eng., 12 (1951), 41; quoted by Evans, op. cit. (n.3). H.P. Brown (later Sir Harry) was then Director-General of Posts and Telegraphs and a foundation member of the Board. (14) W.F. Evans, History of the Radio Research Board, 1926-1945, (Melbourne, 1973), p. 77. (15) J.F.H. Wright, Measurement in Australia, 1938-1988 (Sydney, 1988), p.8. (16) Sir Leonard Huxley, tape of an interview conducted by Mel Pratt, 8 September 1971: National Library of Australia, Oral History, TRC 121/5, p. 148. (17) Weights and Measures (National Standards) Act, 1960, clause 4(1). R.W. Crompton is Professor and Head of the Atomic and Molecular Physics Laboratories, Research School of Physical Sciences and Engineering, Australian National University. This memoir was originally published in Records of the Australian Academy of Science, vol. 8, no. 4, Canberra, Australia, 1982.